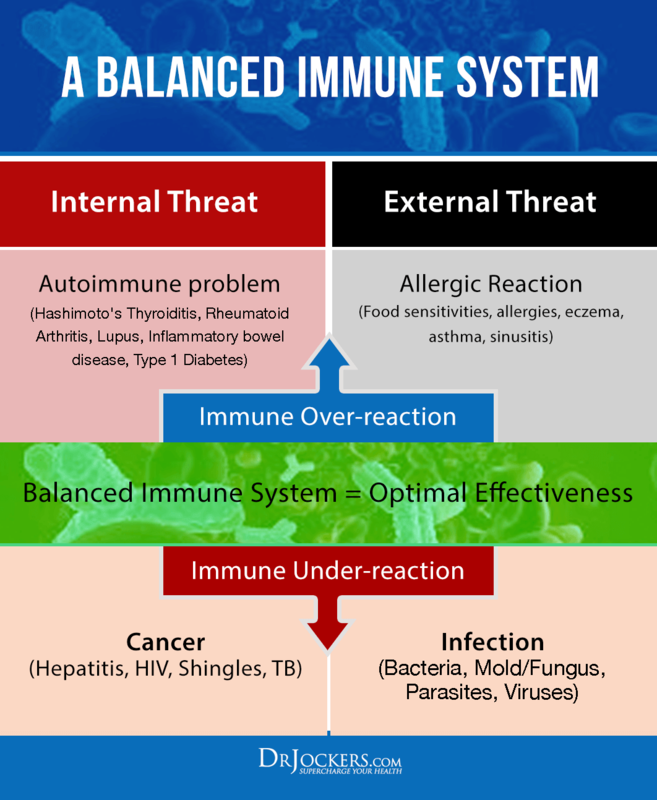 The immune system is our primary barrier against harmful pathogens in the environment around us. In addition to protecting us from pathogens, the immune system also plays the very important role of controlling precise inflammatory responses that help our body heal damaged tissues. Using immune boosters on a regular basis can help ensure your immune system is functioning at its peak. The Immune boosters mentioned in this article have a modulating effect on the immune system. By this I mean they can be useful in cases of either under or over-active immune states. This way we end up with an immune system that is strong and efficient without causing any negative side effects. As we will discuss shortly, when the immune system is under or over-activated, there can be many side effects. The immune boosters mentioned in this article will help activate a balanced immune system. Whether you are someone susceptible to the seasonal cold or you have an auto-immune condition, these strategies will be a powerful tool to consider. When the immune system is not responding to pathogens effectively, this makes you vulnerable to various types of infections. If you always pick up what everyone else has got, get the flu every year, and suffer from chronic colds – immune boosters are your friend! There are branches of the immune system present in the lymph nodes, respiratory system, skin, and GI tract. These are all places that are subject to infections of different types. 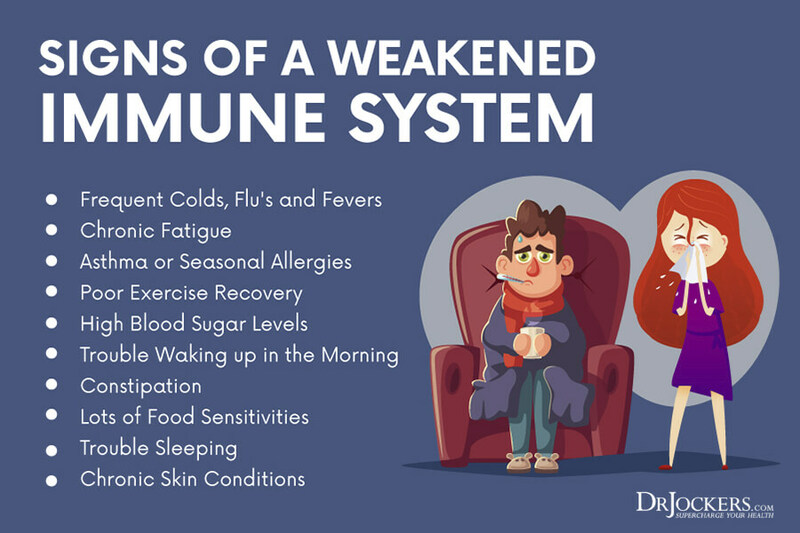 Other more subtle signs of a weak immune system include fatigue, allergies, blood sugar issues, brain fog, food sensitivities, and chronic digestive issues. In addition to a weak immune system, there can also be a complete dysregulation of the immune system. This is where the immune system is highly active, but targeting the body’s own tissues rather than invading pathogens. This results in chronic inflammation and destruction of tissues around the body. 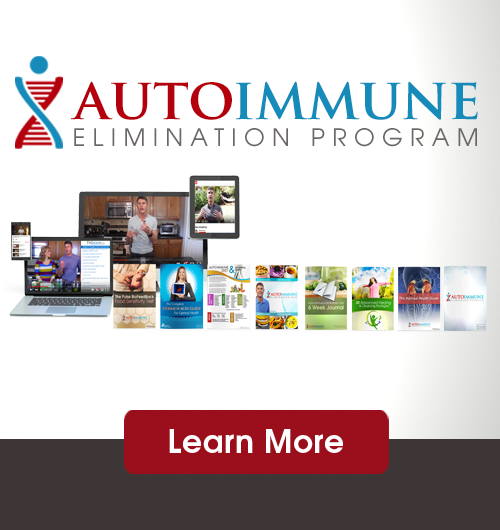 It is these conditions that are classically referred to as “autoimmunity”. Before we get into immune boosters, it is vital that we also discuss immune-destroyers. Addressing both simultaneously is where you will really start to notice a shift in your health. Consequently, these are also basic strategies to maintain general wellbeing – I recommend these for anyone who wants to be healthy! First and foremost, if a large portion of your diet is sugar and carbs, your immune system will be weakened. One big reason for this is that white blood cells require Vitamin C to perform certain functions. What is significant about this is that Vitamin C and sugar are very similar structurally and can compete for entrance into cells at the Glut-1 receptor. Glucose often gains priority over vitamin C and therefore hinders immune function (1, 2, 3, 4). Excess sugar can also feed underlying infections like candida while depleting critical nutrients like Vitamin C, glutathione, and zinc. That means, in the presence of a high-sugar diet, you would need even more immune boosters for optimal function. Getting poor sleep is tied to poor immune function. Consistently getting poor sleep results in upregulation of certain inflammatory processes as well as poor blood sugar balance and metabolic disorders (5). Getting good sleep every night is one of the most important immune boosters right next to sunlight exposure. Poor sleep can also cause a heightened stress response in the nervous system. A heightened stress response and elevated cortisol levels over prolonged periods inhibit proper immune system function as well. My article 7 Lifestyle Strategies for Better Sleep goes into my top recommendations for getting the best sleep possible. Municipal tap water can have many toxic elements. Things like chlorine, fluoride, heavy metals, etc. all increase the toxic load on the body (6, 7). Investing in a reverse osmosis water system or the portable Big Berkey system is one of the biggest immune boosters you can buy. Simply add back in some trace minerals by sprinkling in a pinch of natural salt and your water has been upgraded substantially. Clean water and minerals are what your body needs in order to properly conduct electrical signals. These electrical signals are how your brain and body communicate and how cells function. Toxic water can inhibit this process and essentially impact every process in the body in a negative manner. Shoot for at least half of your body weight (in lbs.) in ounces of water per day for optimal hydration. Adding in a squeeze of lemon juice or a few drops of lemon essential oil is a great strategy to add to your arsenal of immune boosters! As technology progresses, people tend to spend more time indoors and away from the sun. Sunlight is absolutely vital for proper immune function. Getting sun exposure in the morning primes the circadian rhythm to support optimal sleep at night. Additionally, sunlight assists in the formation of Vitamin D which has immune modulating benefits as well. Spending more time indoors can be harmful when you also consider indoor air quality, artificial light exposure, and EMF exposure. Getting unobstructed sun exposure when you wake up and around midday are both important for the immune system. Once you have the factors above accounted for, the following list of immune boosters will be even more effective. These nutrients all play unique roles in boosting the immune system to both help fight off unwanted pathogens as well as control inflammatory pathways in the body. 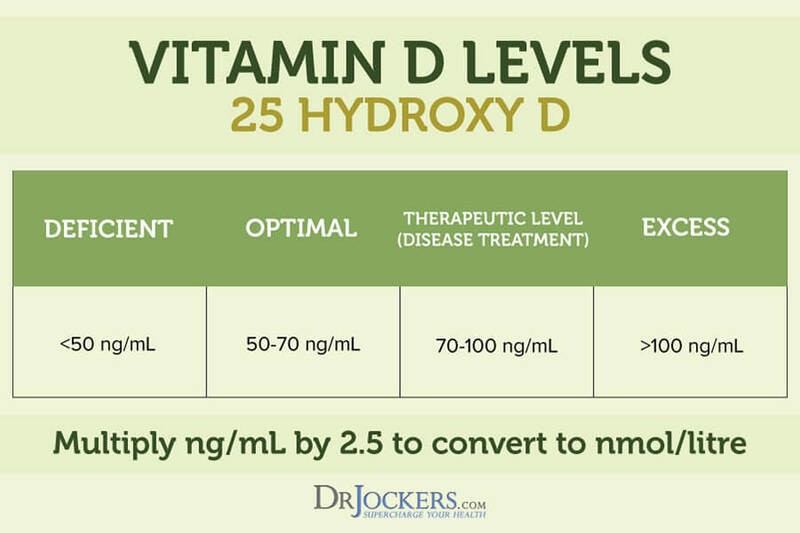 Vitamin D is more of a hormone than it is a Vitamin. Hormones interact with cells directly to elicit specific biological processes. Due to inadequate sun exposure and organ meat consumption, most people do not have adequate Vitamin D levels from a functional perspective. Levels between 50-100 ng/dL seem to provide the greatest benefits. Getting more sunlight throughout the day and supplementing with 1000 IU per 25 lbs. of body weight is a great way to reach optimal levels. Having a Complete Thyroid Report done 1-2 times a year can help to monitor Vitamin D levels and keep them in the 60-100 ng/dL range. Zinc, just like the other immune boosters on this list, is effective for stabilizing an over or under-active immune system. One of the primary mechanisms that zinc works through is the human cytokine interferon alpha (8). This is a protein that plays a role in inhibiting the replication of viruses within the body. Zinc essentially acts as a powerful sidekick for the immune system. Zinc also plays a role in enzyme function. One of substantial importance is superoxide dismutase (SOD). SOD is one of the body’s most important antioxidants. It is responsible for protecting DNA, preventing viral replication, and protecting against the accumulation of metabolic wastes within cells. I go over a simple home test you can do to discover your zinc status in this article. A good dose of zinc to take in on a daily basis would be between 20-40 mg. This can come from a combination of food sources and supplemental form. For supplemental form, I recommend an amino acid chelate like zinc glycinate (found in Zinc Charge here). Humans are one of the only animals who cannot produce their own endogenous supply of Vitamin C. We must get it from external sources like food or through supplementation. White blood cells rely upon Vitamin C in order to both defend and fight foreign pathogens in the body. In addition to this, Vitamin C is an important component in controlling inflammatory responses to damaged tissues. Finally, Vitamin C also acts as an anti-histamine and helps to control hyperinflammatory responses to things like colds, the flu, and allergies (9, 10, 11). I recommend our Super C, which has a 1:1 ratio of vitamin C to citrus bioflavonoids which are also called Vitamin P. This combination of Vitamin C and Vitamin P synergizes to uniquely improve immunity, supports adrenal health and this synergy helps to improve capillary permeability to deliver more oxygen to cells. I personally use 1 gram (2 caps) in the morning upon rising and 1 gram at night before bed to support my adrenal health, circulation and immune system function. Beta glucan is one of the most balancing immune boosters featured on this list. It is often referred to as a “biological response modifier” which helps to bind to white blood cells and improve their immune coordination. Beta-glucan compounds are found in mushrooms, yeasts, certain algae, and oats. Beta glucans are a class of polysaccharide compounds – one of the better studied being 1, 3-D Beta Glucan. Studies have shown that beta glucans have the ability to activate T-cells, macrophages, natural killer (NK) cells, and cytokines interleukin 1 and 2. Consequently, research has shown that beta glucans are able to help inhibit cancer growth and protect against pathogens (12). Depending on whether you are healthy or dealing with a significant immune challenge, a dose of 500mg all the way to 1000mg – twice daily could be used. In the next section about olive leaf extract, I will discuss a powerful combination supplement that includes beta glucan. Olive leaf is a less commonly known herb that is anti-viral, anti-fungal, and anti-bacterial. In addition to exerting antimicrobial effects, olive leaf extract also supports the immune system by boosting white blood cells’ ability to engulf and destroy microbes. Olive Leaf extract has been found to work in a dose-dependent manner. This means generally, higher doses are more effective. I have a specially-designed formula that features immune boosters like Vitamin C, Beta Glucan, as well as Olive Leaf Extract all in one capsule for comprehensive immune support. This formula is called ImmunoCharge. 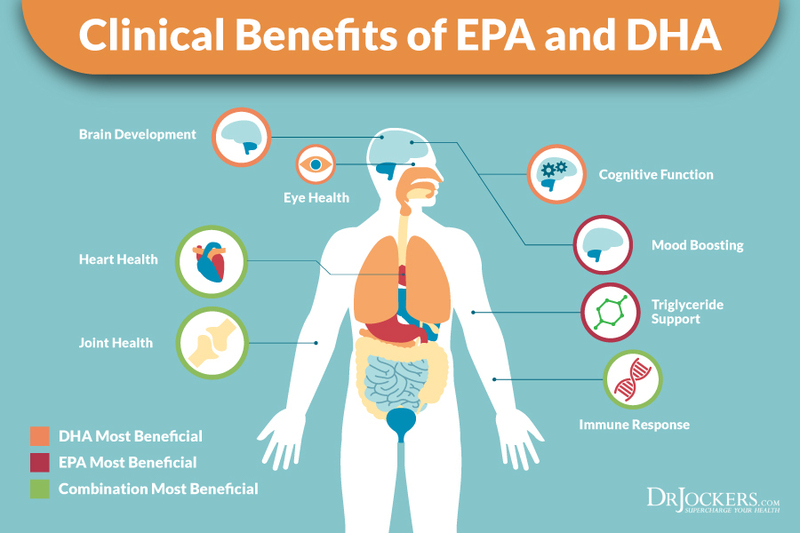 In fact, one of the most prominent benefits of DHA is its ability to help lower inflammation. Remember, chronic inflammation is often a cause of an overly active immune system (leading to things like autoimmunity and allergies). A study performed on young children supports this idea by observing lower instances of allergies and upper respiratory infections in those who received adequate DHA (13). Glutathione is a powerful antioxidant that controls inflammation and helps to regulate other antioxidants in the body, such as Vitamin C. It is also a powerful detoxification agent, helping to remove toxins in the body so that they cannot detract from the immune system. More specifically, glutathione strengthens something called T cells, which are important for fighting off bacteria, viruses, parasites, and other harmful pathogens (14). Altogether, glutathione provides a fundamental role among the immune boosters on this list. Glutathione production in the body generally declines with age. There are ways to boost it up, however. Consuming foods that contain glycine, glutamic acid, and cysteine will help provide the building blocks for glutathione. The best foods include avocados, onions, spinach, asparagus, and turmeric. Even better sources for these components are grass-fed whey protein and pastured eggs. Finally, glutathione can be used in supplemental form. Glutathione supplements are readily available on the market. One issue is that they are not all absorbable. In the next section, we will discuss one of the best forms of supplemental glutathione. Curcumin is one of the most studied compounds isolated from the turmeric root. It has powerful anti-inflammatory effects as well as a mind-blowingly wide range of systemic benefits in the body. The anti-inflammatory, antioxidant, and cancer-fighting effects are enough to substantially boost the immune system. Curcumin seems to not just lower inflammation, but also assist the immune system with antibody responses responsible for targeting infections. Curcumin has implicated benefits for arthritis, asthma, allergies, and cancer (15). 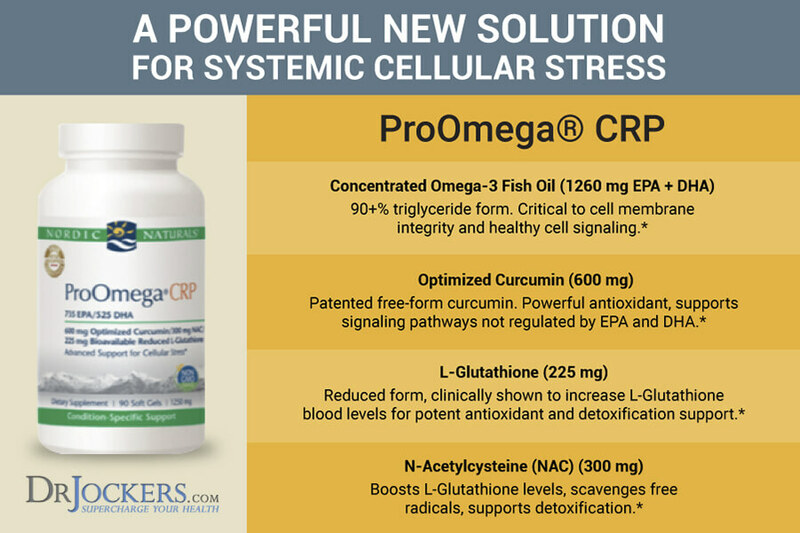 One of the most effective anti-inflammatory supplements I have come across is Pro Omega CRP. This formula combines highly purified omega 3, acetylated glutathione, and a concentrated curcumin extract that act synergistically. It is also great to support healthy inflammation and modulate the immune system to be more targeted. You’ve probably heard by now that the gut is an important part of the immune system. The bacterial balance of the gut helps to prevent harmful pathogens from entering the bloodstream through the digestive tract. Having the wrong kinds of bacteria in your gut can also directly contribute to autoimmune conditions through chronic inflammation (16). One way to ensure your gut contains the kinds of bacteria that are going to protect you is by supplementing with a probiotic. Certain strains of bacteria like Lactobacillus acidophilus, Bifidobacterium longum, Lactobacillus plantarum, and Bifidobacterium lactis are clinically studied strains of bacteria with multiple health benefits. Finally, using a greens and superfoods powder on a regular basis can be powerful for keeping the immune system strong. Ideally, you want a combination of foods that are detoxifying, anti-inflammatory, micronutrient-dense, and organically sourced. 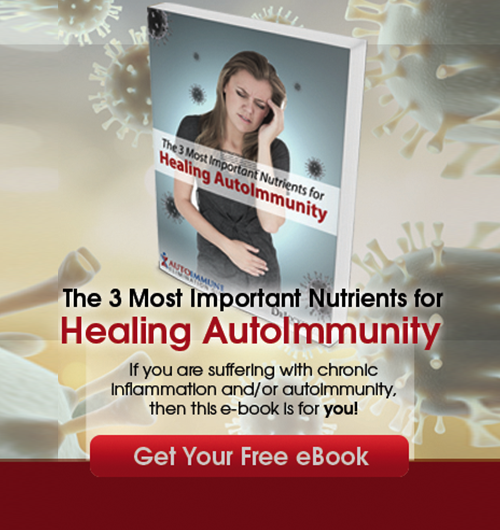 This can be especially helpful during times of increased demand on the immune system. This is because the combined effects of the superfoods and greens assist the body in several processes to allow the immune system to act more efficiently. This Organic SuperGreens formula is currently my go-to. It also contains good amounts of the next two immune-boosting foods on the list! Spirulina is one of the most nutrient-dense foods in the world. It is a blue-green algae that is adaptable to its environment yet very basic in its biology. Consequently, spirulina contains a full array of vitamins, minerals, and powerful pigmented compounds. These pigmented compounds are called phycocyanins and anthocyanins and are extremely powerful antioxidants. In addition to providing an abundance of nutrients and antioxidants, spirulina also helps to maintain a healthy bacterial balance in the gut. Chlorella is another algae with substantial benefits. It contains an equally impressive nutrition profile and is abundant in the detoxifying compound, chlorophyll. As we talked about earlier, people just don’t get enough sun these days. Chlorophyll actually helps the human body absorb beneficial light waves from the sun and turn them into energy (17)! Chlorella is one of the most concentrated sources of chlorophyll you can find. Additionally, studies have backed up chlorella’s role among the other immune boosters. Research has shown that components of chlorella help to assist in controlling chronic inflammatory and allergy-like responses of the immune system (18,19). Luckily, there is a wide range of compounds that are excellent immune boosters. The compounds listed in this article are immune boosting in a way that will not over-stimulate the immune system, but rather keep it operating as efficiently as possible. I have put together a Super Immunity Support pack that includes every single one of the compounds listed above in a single package. This package is not only convenient but also priced at a discount relative to buying each supplement individually. I highly recommend this support pack during times of infection, during seasons when sickness is passed around, and for people who have allergies, autoimmunity, or any other number of immune challenges that need some extra support. 8. Ohio State University. “Zinc helps against infection by tapping brakes in immune response.” Science Daily. I wish that you were in Canada as Being on a fixed income and elderly I can’t afford your products but I sure apply what you say when I can and it makes a BIG difference. Glad to have you in our community Perley!! Great information, but I don’t know how to address my vitamin-C level. Oat showed high oxalic level due to very high intake of both glycine and Ascorbic Acid prior to the test. I now take 600mg/d of ALA, but with an AA level of only 1.2, I have serious doubts that the ALA will keep much of the AA from degrading to oxalates. I have switched my magnesium over from glycinate to citrate for use as a binder and greatly reduced my other glycine exposures. I would appreciate your thoughts on my vitamin-c.
Hey Louise, I typically recommend 500-800 mg of vitamin C daily for those with high oxalates. Were the bones and muscles supposed to have the same autoimmune diseases in the chart on this article? Great info by the way. Sure do appreciate you! Thanks Patti! Yes the same AI conditions that impact the muscles also impact bones and joints!